Several years ago, American Eagle Auction & Appraisal Company was commissioned to sell a large estate in Wyandotte, Michigan. Within this large estate was a wooden cuckoo clock with a three-dimensional figurine and hand painted images of Walt Disney’s Mickey Mouse. The clock face had a portrait of Mickey, complete with his iconic round ears, red shorts and yellow shoes. This particular clock was slated to sell towards the end of the auction. “We are a couple hours away from that as it’s towards the end of the auction.” I replied. About an hour later, the woman approached me again and said, ‘Sir, I’m going to walk around. Please make an announcement over your speaker when you get to the clock. I don’t want to miss it!” In terms of value, this clock was not expensive as it could be purchased brand new at the Disney Store for approximately $150.00. The clock had a perceived value of $50 to $75.00. When we finally got to this clock at the auction, this young lady was carefully inspecting it and commenting to her counterpart how “beautiful it was.” Her obvious fascination with this clock intrigued others at the auction to take a closer look at it. The bidding began at $50.00 in which the young lady enthusiastically raised her hand to bid. Other bidders began to compete and within 45 seconds, she was beaming ear to ear, let out a “yippieeeee!” when she was declared the successful bidder for $550.00. This scenario plays out time and time again at auction. The used Remington 870 shotgun that can be purchased new at the store for $400.00 sells for $650.00. The buyer had a connection to the deceased seller. The $5.00 Beanie Baby with a custom knitted Detroit Red Wings themed sweater sells for over $10,000 at a charity auction. The buyer was emotionally attached to the cause. And the used car lot owner that purchases pays $200.00 more than the average price for an old washer and dryer because he needs it for the car lot to wash dirty and greasy rags. What was his emotional trigger? Price and urgency. He didn’t want to buy new. Didn’t want to shop and wanted it now. What drives ‘Emotional Value’? In short, the competitive method of price discovery better known as an auction. Emotional Connection. Demand is oftentimes difficult to forecast especially when bidders have an emotional connection to the asset that is being sold. The psychological factor comes in many levels. A bidder discovers an emotional connection to an item because it’s something that he had or always wanted when he was a kid. 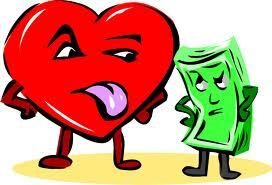 When emotions take over, money becomes less of an object. Inexperienced Enthusiasm. Enthusiasm brings bidders to an auction. When you have an enthusiastic but inexperienced auction goers, there is no telling where their stop point is. They enjoy auctions in its purest form – they just want to win. It’s new and exciting and they’re going to sink a lot of battle ships. Every seller of a well -structured and promoted auction is a beneficiary of emotional value. What they may lose on the apples, they make up on the bananas. I don’t understand why I am unable to join it. Is there anybody having similar RSS problems?